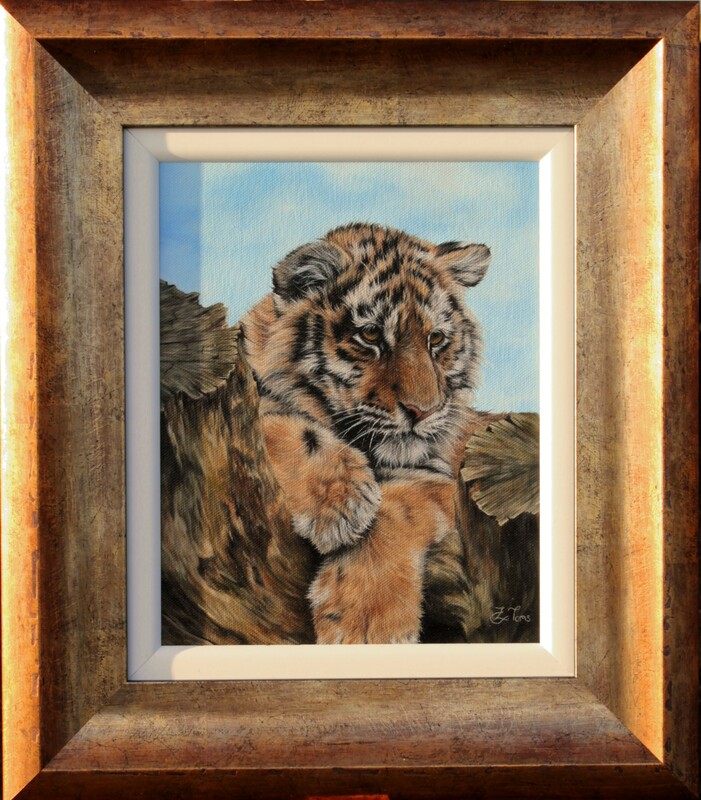 My tiger cub painting received the most votes in the competition I entered at my local gallery, Ace Framing and Art Gallery. I want to thank everyone who spared their time to go and vote for me. I really appreciate all your support. Winning the competition has given me a massive opportunity as part of the prize is to have my own exhibition at the gallery! I will keep posting updates on my Facebook page when I know more on dates etc. Now to crack on with my wildlife portfolio. Anybody who would like to purchase any of my work please don’t hesitate to contact me.